is your mind the key to release negative emotions? A traditional view, still held by many scientists, is that the human immune system is autonomous. That is to say, it is self-regulatory and functions separately and independently from the rest of the body. With the increasing understanding of Psycho-neuro-immunology (PNI) these old views are becoming less legitimate. Dr. Ader first coined the term Psychoneuroimmunology to describe the field of study he helped to create back in 1975. His theories that the human mind could significantly affect the ability of the immune system to fight disease were initially greeted with heated scepticism and sometimes scorn. Today, his theories are applied and studied in many medical specialities, not only psychiatry, by researchers around the world. Unfortunately Robert Ader, Ph.D., the founder of Psychoneuroimmunology and a professor emeritus of Psychiatry at the University of Rochester Medical Center, died 20th December 2011 at the age of 79. However, his legacy lives on. PNI is the scientific field of study investigating the link between bi-directional communications among the nervous system, the endocrine (hormone) system, and the immune system. 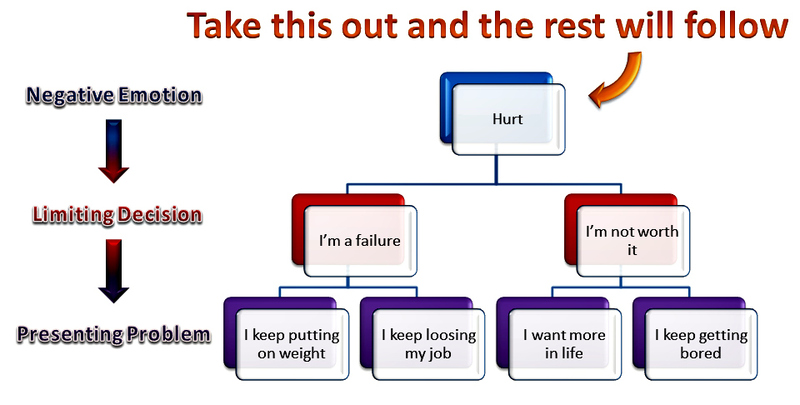 The implications of these linkages for physical health, do indeed support the need to release negative emotions. Dr Deepak Chopra calls himself a quantum biologist, which means the application of quantum physics to biology. He says that the body is a quantum mechanical device, and that it is subject to the laws of quantum physics and not Newtonian physics. The most important notions of quantum biology is that consciousness is not localised to any one place. Indeed, this is why energy healing and particularly distant healing is possible, as energy is not localised at any point in time or place. On a more physical level, decades ago a group of scientists discovered in the brain, a set of chemicals known as neuropeptides. Neuro because they are found in the brain, and peptides because they are protein like molecules. Every time you have a thought or a feeling, a desire, an instinct, or a drive, each of these affects your nervous system by means of specific messenger molecules called neuropeptides. There are receptors to these neuropeptides not only in brain cells but also in cells of the immune system. So when the scientists began looking at the various immune system cells that protect us from cancer and infection (T-cells, for example), they found that there were receptors to these same neuropeptides in those cells. In fact, the word neuropeptide became obsolete, because they're not confined to the brain. They are floating around in the bloodstream and going to all our different organs. Since there are receptors to these neuropeptides in cells in the immune system, then it becomes obvious that, as Dr Chopra says, the immune system is constantly eavesdropping on our internal dialog. In NLP we would add the following comment, The immune system is constantly responding to the pictures, sounds, feelings, smells, tastes, and the internal dialogue that we hold in our body. 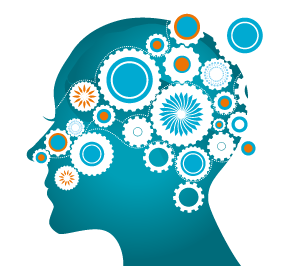 Since the unconscious mind (also known as the "body mind") is the controlling intelligence in the body, it is also the connection between the mind and the immune system. One of the major theories of NLP, and Hypnosis is that the unconscious mind can communicate with any part of the body at any time it so desires, and can in this way, stimulate the healing process. It seems that there is in fact, neurological evidence for this. Every thought, every emotion, every desire, every internal representation you have is monitored, overheard and viewed. Your immune system is watching, listening, feeling! It has been shown that grieving people have grieving immune cells. If the grieving goes on for a prolonged period of time, then the immune system also has the self talk of, leave me alone, I don't want to be bothered. Such people may be susceptible to cancer and other diseases. But Chopra and Ader are not lone voices on the subject. In 1982, Dr. Bruce Lipton began examining the principles of quantum physics and how they might be integrated into his understanding of the cell’s information processing systems. He produced breakthrough studies on the cell membrane, which revealed that this outer layer of the cell was an organic homologue of a computer chip, the cell’s equivalent of a brain. His research at Stanford University’s School of Medicine, between 1987 and 1992, revealed that the environment, operating through the membrane, controlled the behaviour and physiology of the cell, turning genes on and off. His discoveries, which ran counter to the established scientific view that life is controlled by the genes, presaged one of today’s most important fields of study, the science of epigenetics. Two major scientific publications derived from these studies defined the molecular pathways connecting the mind and body. 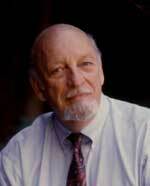 Many subsequent papers by other researchers have since validated his concepts and ideas. So now we have environment as well as emotions affecting our immunity. This makes perfect sense as evidence suggests that many mental and physical dis-eases are preceded by a significant emotional experience (SEE). A SEE of a negative nature may have occurred in the person's recent past, or even further back, such as during childhood. If negative, and depending on the intensity, the SEE has the potential to create or be the source of some emotional, mental or even physical dis-harmony in the body. Let's define some terms so that we are speaking the same language. The notion of an SEE comes from the sociologist Dr. Morris Massey, in the book The People Puzzle. First event means the very first time that an experience happens, or the root cause of a first event occurring. Significant emotional experience is any major, fully associated, highly charged emotional event wherever it occurs. Emotional chain is the process that the unconscious mind uses to connect experiences of a similar nature. The term used is "gestalt" which means a collection of memories around a certain subject. The potential of a negative SEE to create dis-ease is based on the trapped emotions which remain in the memory because they are stored in the body. The work of Dr. Paul Goodwin, a neural physicist at Alaska Pacific University, implies that the trapped emotions in the body have the possibility of creating functional (software, non-physical) boundaries which can impede the flow of nerve information through the neural network pathways. You can tell if there are still any negative emotions in one of your past memories by going back to that memory, and remembering what happened looking through your own eyes. (Warning: Do not try this with memories which contain trauma or phobia.) If, as you remember the memory, you feel any negative emotions in your body, then there is a negative emotional content to the memory, trapped in your biofield. The trapped negative emotion, if you feel it, is the basis or potential for dis-ease or dis-harmony. Now, other than dis-ease, why get rid of negative emotions which are trapped in one's body? Well, for example, imagine a salesperson, who has a dream, they are well trained and knows how to sell, and wants to make more money. But every time that salesperson goes to close the sale, fear comes up. That salesperson is not going to do his or her best. Certainly the closing ratio will not be as high as it could be without the fear. Now imagine that same salesperson without the fear. Which one do you thing will do better? Or in a relationship, perhaps you once got hurt, and so you said, I'm never going to let that happen to me again. So every time you get to a certain point in the relationship you begin to feel those old negative feelings, and so you end the relationship. More importantly, each relationship ends in exactly the same way each time. You may not even remember the source of the negative feelings, but at a certain point there they are, and the relationship ends. Now imagine being without those negative emotions, do you think that it would improve the relationship? Obviously, the creation of dis-ease requires more trapped negative emotions than those in the situations we've just discussed. However, the process is the same; the unconscious mind represses (to whatever extent it needs to) memories with unresolved negative emotions. It does this for the "sanity" of the conscious mind. Since the unconscious mind does repress the memories with the negative emotions in them, the emotions get stuck in the body and aren't released. 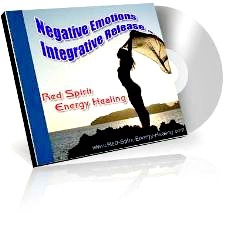 So science shows it is essential to release negative emotions for optimal health. 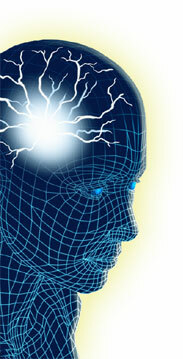 NLP, Hypnosis, and Energy Healing are exceptional tools for doing just that. We have created a unique process combining aspects of timeline therapy and energy healing as a self-help tool in clearing unwanted negative emotions. Available for download as MP3. A unique process combining aspects of timeline therapy and energy healing as a self-help tool in clearing unwanted negative emotions. Available for download as MP3.